What is Stanzas, we hear you ask. Stanzas is… a home. A home for writers to sit together and share words. A home for your writing through our monthly chapbooks. A home where you can feel comfortable, either sharing your work, or just sitting back and listening to the words of others. Stanzas is… here. It’s here to stay, and we want you to stay with us. Stanzas’ Evening of Words takes place on the third Friday of every month (although life sometimes interferes) at Ormston House. This month, Stanzas presents Paperweight (volume v) in collaboration with Limerick-based poet Linda Louise Galvin. This month’s Evening of Words will also feature the open mic session. Linda Louise Galvin is a 22-year-old writer from Limerick, known as “the poet with the hat.” She describes her success with writing as “far from luck”, and puts it down to countless hours of studying dictionaries and poetry books. She started by writing lyrics for songs to play on the guitar and eventually focused on poetry. She juggles between a diverse range of taboo subjects and humour as she says, “the bad is often just as beautiful as the good.” She has been featured in Stanzas Anthology (year two) and in the Sextet Anthology published by Revival Press at the Limerick Writers’ Centre. She has recently being interviewed by I LoveLimerick and the Limerick Leader for being a young, local, up-and-coming poet. Image: photograph courtesy of Stanzas. Stanzas is programmed by Caleb Brennan, Jared Nadin, Dan O'Malley, and Shane Vaughan, artists-in-residence on the R&R Programme at Ormston House. 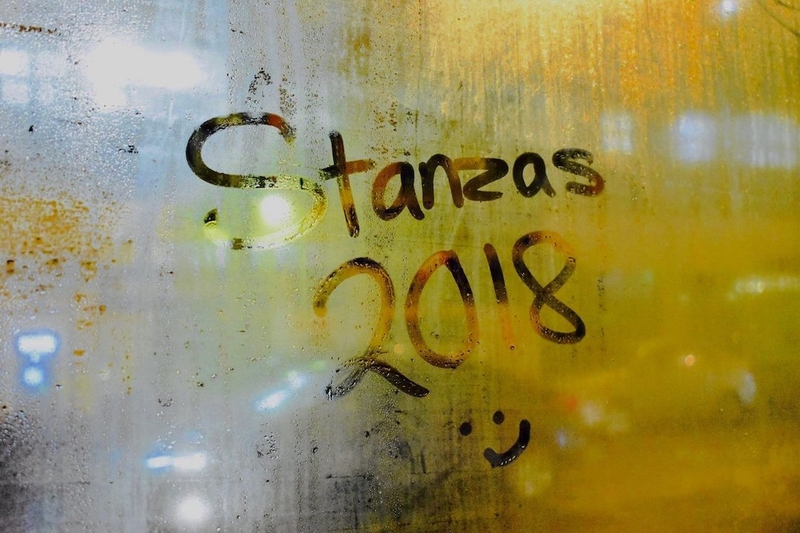 You can also find Stanzas on Facebook here and on Twitter here.